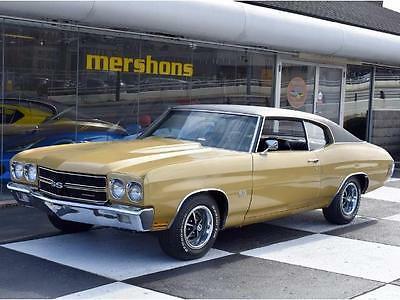 Welcome 1970 Super Sport Chevelle ? ? ? ? 1 of 35 ? View Large Images ? ? 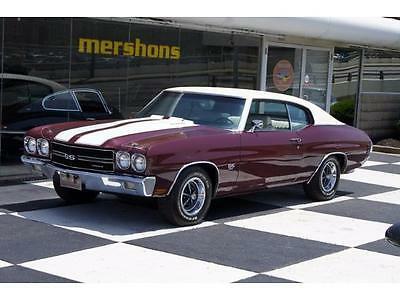 Description One of the cornerstones of the muscle car market is the 1970 Chevelle. This particular car has been rotisserie restored to show condition. 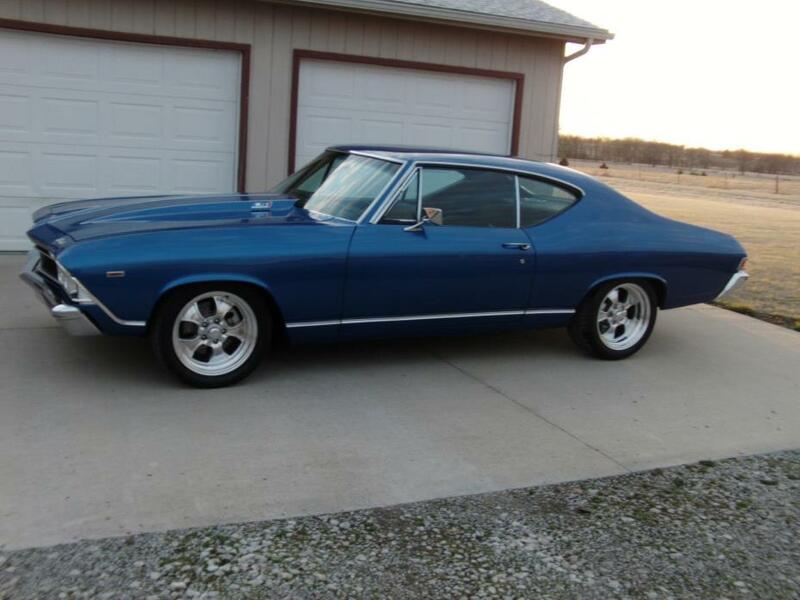 Making it highly collectible is the fact that it still retains it’s original drive train. The “CTW” code denotes a 350 horsepower 396 Big Block coupled to the original Turbo 400 automatic transmission and the date code correct 12 bolt posi track rear end. It has also been repainted in code 555 Champagne Gold. 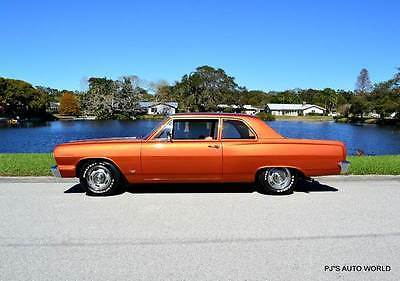 Other attractive options include power steering, power front disc brakes, cold factory air conditioning, bucket seats, console, factory tachometer, new Goodyear F70X14 tires, Super Sport wheels & cowl hood. This is truly a “Blue Chip” investment grade car! Scott Wagner (913) 422-1955 741 E. Front St. Bonner Springs Kansas 66012 ? ? ? ? About Us Willie Wagner founded “Wagner’s” in 1968. The main focus at that time was that of automobile collision repair & paint and custom work. Wagner’s Auto Body was located in Kansas City Kansas until 1996 when in order to focus on the rapidly expanding Classic Car business Wagner’s Classic Cars Inc. moved to it’s current location in Bonner Springs Kansas. 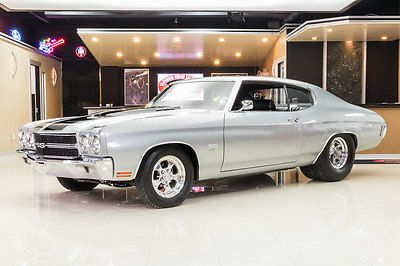 We feature a showroom filled with collector cars, muscle cars, street rods & trucks of all kinds. Wagner’s is also one of very few dealers that builds and restores cars. Over the years we’ve won countless awards for the many cars we’ve built and & restored. Attention to detail and old fashion hard work still sets us apart from the rest. Willie and his son Scott have a drive for perfection and superior customer satisfaction that has been the trademark of Wagner’s for more than forty years. If we don’t have what you are looking for on the showroom floor, we can surely find it, or build one for you. 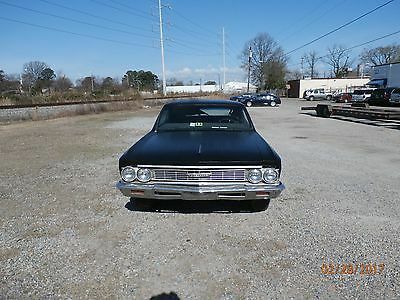 If you already have a car that’s in need of restoration work, we can handle that as well. We look forward to you being our next satisfied customer. 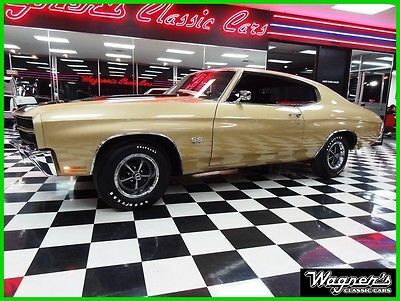 ?Directions to Dealer ?Contact Us Options and Standard Features Basic Information VIN Number: 136370A175503 Model Year: 1970 Make: Chevrolet Model: Chevelle Style Name: Super Sport 0 Dr Exterior Color: Gold Interior Color: Black Vehicle Type: Coupe Engine Engine Description: V8 DriveTrain Drive Train Type: Rwd Transmission: Automatic Contact Wagners Classic Cars Inc. 741 E. Front St. Bonner Springs Kansas 66012 View Map Ask for:Scott Wagner Contact: ?Contact Us Primary Phone:(913) 422-1955 Terms Placing a Bid: Your bid constitutes a legally binding contract to purchase this vehicle. Please do not bid if you're not seriously interested or financially able to purchase this vehicle. 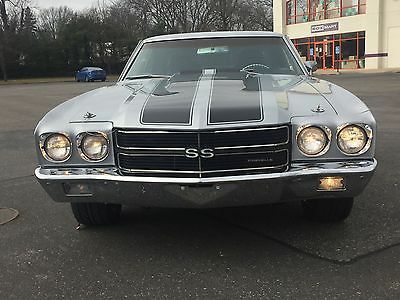 Please read eBay's User AgreementWagner's Classic Cars Inc. reserves the right to, Obtain and verify the registered information of all users who bid on this auction. Cancel any and all bids at our discretion, or end the auction early if necessary.Bidders Age: You must be 18 years of age or older to Bid. Special eBay Bid Retraction Rules: Please read eBay's "Retracting a Bid" If you place a bid before the last 12-hour period of the auction: You may retract that bid before that last 12-hour period but only for exceptional circumstances. You will not be allowed to retract that bid during the last 12-hour period of the auction. If you place a bid during the last 12-hour period of the auction: You will be allowed to retract the bid for exceptional circumstances but only if you do so within one hour after placing the bid.Funds & Financing: For help in arranging for a Pre-Approved loan or for any questions please e-mail or phone Scott at(913) 422-1955 prior to bidding. Buyers Inspection: Wagner's Classic Cars Inc. has done our best to disclose all information known about this vehicle for auction. Wagner's Classic Cars Inc. welcomes a buyers inspection. If you plan to have a buyers inspection, please make sure you inspect the vehicle prior to the auction ending. Inspection fees if any are Buyers responsibility. Representations and Warranties made by seller: This vehicle is being sold "as is". Manufacturer's warranties may still apply. Extended warranty may be available, e-mail or phone Scott at (913) 422-1955 for details. No representations or warranties are made by seller, nor are any representations or warranties relied upon by bidders in making bids. Taxes and Registration fees: Out of state buyers are responsible for all state, county, city taxes and fees, as well as title service fees in the state that the vehicle will be registered. All taxes and fees must be paid in full in order for vehicle to be titled and registered. Title Information: Vehicles titles may be held by banks or lenders as collateral for loans. In many cases there is a delay in receiving the original instruments up to 21 days from the time we pay a vehicle off. While we usually have all titles in our possession at closing, there are occasions where we may be waiting for them to arrive. If payment is made by cashier's or personal checks we will hold all titles for 10 days or until funds have cleared. Shipping & Delivery: All shipping charges are buyer's responsibility. 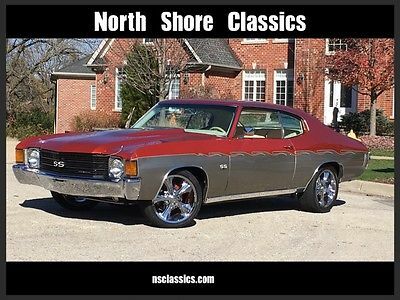 Wagner's Classic Cars Inc. will help with shipping arrangements but will not be responsible in any way for claims arising from shipping damage!Licensed Carriers are generally insured for $3,000,000.00. We assume no responsibility for damages incurred after the vehicle leaves our showroom. 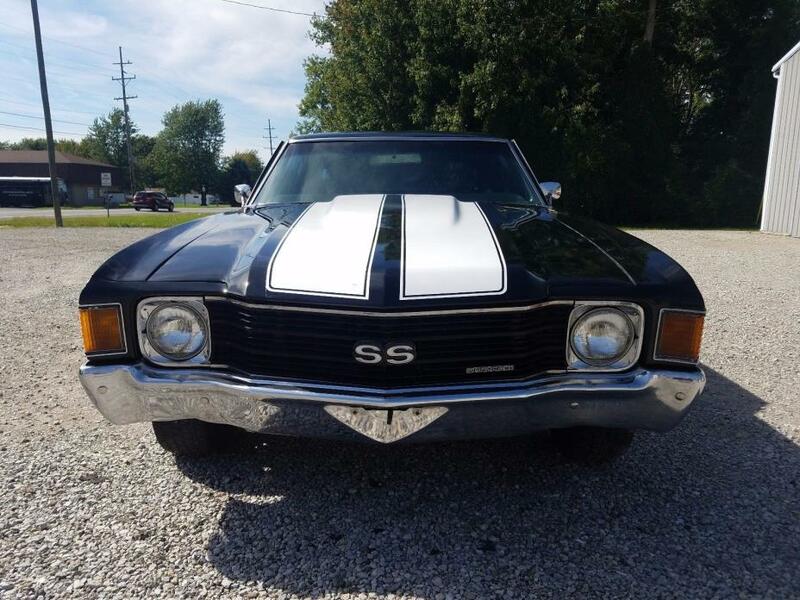 All shipping arrangements are provided by Wagner's Classic Cars Inc. as a courtesy. We are not affiliated with any carrier. Any claims or other communication regarding shipment of vehicles will be between you and the shipper, not with Wagner's Classic Cars Inc.. The amount of time it takes for delivery is dependent on the carrier, but is generally 7-14 days from the date the vehicle is picked up from our facility until it is delivered to your destination. Verify with the shipper for an Estimate Time of Arrival to be sure. Finalizing your Purchase: Wagner's Classic Cars Inc. will contact the successful high bidder by e-mail after the auction closes. Successful high bidder MUST communicate with Scott at Wagner's Classic Cars Inc. by e-mail or phone(913) 422-1955 within 24 hours of the auction ending to make arrangements to complete their transaction. If we cannot confirm your intention to buy or the sale is not completed within 5 days, we reserve the right to relist this vehicle or sell to any other qualified buyer. In order to secure bid on vehicle, Successful bidder (BUYER) must within 24 hours of bid closing send to Seller a Deposit in the amount of 10% by major credit card, cash in person or bank certified funds. Within 72 hours of bid closing, Buyer must send balance of funds by cash in person or bank certified funds to Seller. At time of sending initial deposit, Buyer MUST fax copy of their State issued valid Driver License. Furthermore, before said vehicle is released for shipment to Buyer, all other Sale related and title related paperwork must be signed and returned complete to Seller. Scott Wagner (913) 422-1955 741 E. Front St. Bonner Springs Kansas 66012 ? ? ? ? Copyright © 2017 Auction123 - All rights reserved. - Disclaimer +- Auction123 (a service and listing/software company) and the Seller has done his/her best to disclose the equipment/condition of this vehicle/purchase. However, Auction123 disclaims any warranty as to the accuracy or to the working condition of the vehicle/equipment listed. The purchaser or prospective purchaser should verify with the Seller the accuracy of all the information listed within this ad. Selling a Vehicle? Create Professional Listings Fast and Easy. Click Here! This vehicle has a lot of things already completenew brake cylinders all the way aroundnew exhaustnew fuel tank, cap, and sending unit hoses and filterNew shocks and a new set of Rally wheels with center caps and trim rings. Rebuilt carbHere is a list of the items included with the purchase. Seat CoversHead LinerCarpet kitDoor PanelsDoor HandlesFront BumperGrillPackage TraySound DeadnerAll the chrome Except for The rear bumper, fender eyebrow covers. 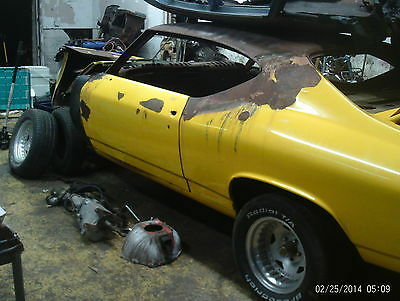 1969 chevelle coupe solid project car the trunk and floor boards are not rotted out all GM metal. good doors good fenders good rockers good cowls. Needs a roof skin and upper dash panel. needs miner body work and paint job solid frame solid body motor mounts are for a 396 or any big block a M21 4 SPEED and bell houseing go's with it a a good 305 engine and 350 turbo trans . Cross member and 10 Bolt rear end are in it drive shaft 4 nice alum rims are on it dash cluster glove box used power brake parts power steering back seat auto shifter steering calum 4 speed shifter good trunk lid on it door glass and one quarter drivers glass the rest of the glass is missing. Sum trim parts. A full Flow master eg pipes right up to headers tails pipes and brackets one year old like new wireing gas tank three crates of mixed small parts that go with it . Good fender skirts good rad support no hood. The chevelle rolls and steers pick up only I can help load. call 908 510 4724 with questions. ALL NONE PAYING EBAYERS WILL BE REPORTED DON'T BID ON MY ITEM IF YOU CANT PAY. 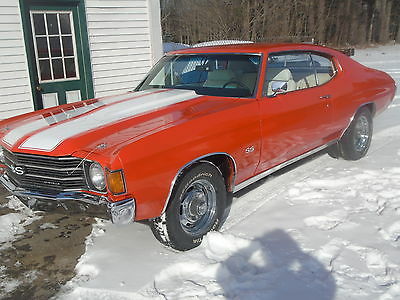 1972 Chevelle Super Sport Clone.Has a 350 motor with a automatic 350 turbo transmission. Once had Air condition someone else took it out before me. Motor is not original to car. car runs and drives nice has lots of new parts love driving the car but have to many other projects to deal with so this must go. Frame is nice and solid so are the floors the trunk has some small holes in it but not to bad for being a 44 year old car. Windshield is new has front disc brakes on car not a show car but a nice cruising car or daily driver. The interior is in good shape carpet is new. Seats are in good shape doors shut nice.Frame is in great shape.Car is for sale locally and can end auction at any time.Car gets lots of looks where ever it goes don't let this one get away great car that you can enjoy without the big high dollar price that these cars go for on ebay own one for half the cost of some that go on here for.No WARRANTY. Will help buyer with pickup if needed.Car also has a 10 bolt rear end in it. Thanks for looking! 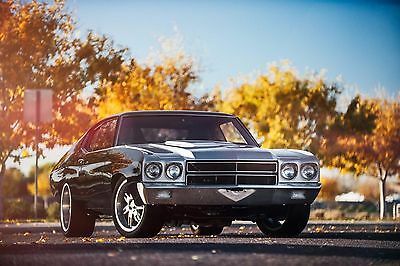 1970 CHEVELLE SUPER SPORT EVERYTHING ON THIS CAR IS BRAND NEW !!! WAY TO MUCH TO LIST BUT I WILL TRY ! THIS IS AN ORIGINAL CORTEZ SILVER CAR TRUE PRO TOURING RESTMOD OVER $115,000.00 IN RECEIPTS $$$ NO EXPENSE SPARED $$$ 572 ZZ CRATE MOTOR 620 HORSE POWER 6 SPEED MANUAL TRANSMISSION PRO TRACK PULLEY SYSTEM 4 WHEEL DISC BRAKES DRILLED AND SLOTTED ROTORS VINTAGE AIR CONDITIONING AND HEAT CUSTOM LEATHER INTERIOR with POWER SEATS COIL OVER SUSPENSION CUSTOM DIGITAL DASH BILLET STEERING WHEEL HIGH TORQUE STARTER SUPER COMP HEADERS ALUMINUM RADIATOR COIL OVER SUSPENSION 355 GEARS THIS CAR IS STUNNING AND BUILT TO DRIVE ! 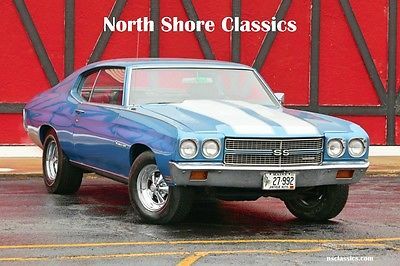 PLEASE CALL WITH QUESTIONS 631-620-3330 This is a Stunning car , I have seen cars not as nice cross the block at Barrett Jackson and Sell for over $100k This is a true Pro Touring 1970 Chevelle, Everything is New down to the Wheels. The Car is Stunning and better than that it is a Pleasure to Drive on the Road ! 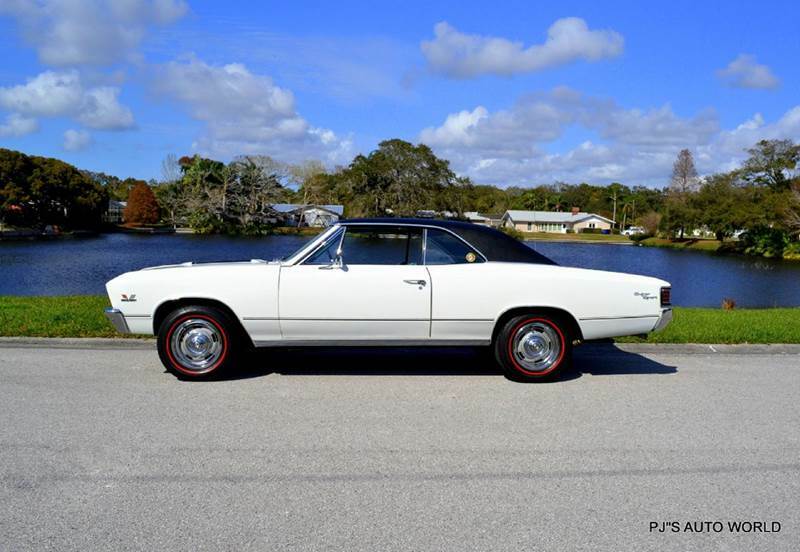 Please realize this car is restored to excellent condition but none of these are perfect so be realistic. I have my phone number in the add for any questions, I have 100% Feedback . a $1000 deposit it due withing 48 hours of accepted offer and full payment within 7 days, I will help with out of town shipping but all shipping costs are the buyers responsibility.